Womanhood isn’t easy; in fact, it is notoriously difficult. Between discrimination in the workplace and harassment on the street, womanhood today comes with almost as much struggle as it does beauty. However, it is undeniable that womanhood is more challenging for some than it is for others. Being a cisgender woman may be trying, but trans women face a unique set of challenges. 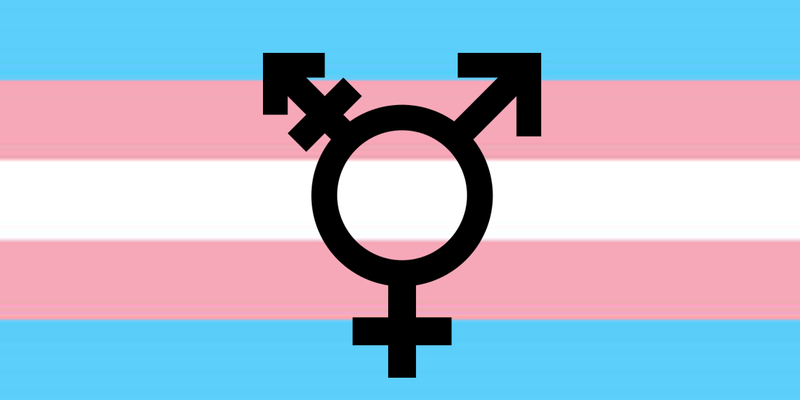 Regardless of being cisgender or transgender, cis women play a crucial role in the empowerment of trans women. Below is a collection of 11 ways in which cisgender women can help to empower their sisters (not just their cis-ters). We cannot grow if we don’t know, and we cannot learn if we don’t listen. It is unrealistic to believe that cisgender women will be able to fully understand the experiences of transgendered women just by listening to what they have to say, but it is the first step to helping to empower them. We cannot empower without first listening. The more you know, the more helpful you can be in empowering trans women. This is the key to empowering everyone, not just women. Although we may not learn about “respecting pronouns” in grammar school or language arts class, it is crucial that we do so in the world we live in today. Many today use the pronouns “they, them, and their.” No matter if a trans woman doesn’t “pass” by your standards or you’ve known them by another identity, use the pronouns they identify with. It is crucial to respect the chosen pronouns of trans women. According to Dana Taylor, “A woman is a woman who makes her own choices on how she wants to look, dress, smell or anything else that has to do with her own body. If she wants to follow the stereotypical concept of being a woman, she should be free to do so.” Just because a woman can embrace or adopt stereotypically female features doesn’t mean she must. 4. Include everyone when you speak. This is on a similar note to number two; being all-inclusive in your speech is not difficult, but speaking exclusively is a difficult habit to break. Some people think of the population as “men and women” and have a very strict definition of each, but a huge part of empowering trans women is being all-inclusive. This means not referring to the general population as “him or her,” or assigning certain characteristics or behaviors to a gender identity. This is necessary for empowering all women. No matter how hard we try to diversify, the media tends to favor a certain type of body, and it is easy to critique bodies that do not meet those standards (including our own). However, it is crucial that we demand body positivity from ourselves and others in order to empower trans women. 6. Pay attention to intersectionality. We are all disadvantaged in certain ways, and intersectionality claims that there is a trend in its causes. However, some are at a larger disadvantage than others, and it is important to remember this when we work to empower trans women. Much like body positivity, we must first reject discrimination within ourselves and then refuse to accept it from others. Discrimination is a problem wherever we go, regardless of our identities. However, trans women experience discrimination in unique places, such as women’s clothing stores and the bathroom. It is important to stand against this discrimination, no matter what your identity is. Women experience discrimination every day. Stopping discrimination starts with you. Don’t let people get away with discrimination. 8. Differentiate between femininity and womanhood. Although the two tend to be associated with each other, femininity does not imply womanhood and womanhood do not demand femininity. When we talk to and think about others and think of ourselves, it is important to remember that the two only go hand in hand when we let them. If you wouldn’t look at yourself or another cisgender woman and say, “you don’t have wide hips or long hair, you’re not a woman,” then you shouldn’t say it to a trans women. Womanhood is not defined by certain features or characteristics, but by self-identification. The past few years have been rough for laws about accessibility to public restrooms. Apparently, people can no longer pee and glance in the mirror without becoming the center of a political squabble. Anti-trans hysteria has sent many into restroom hysteria. Earlier this year, a woman in a Walmart bathroom was harassed by another woman who believed that she was transgender and did not belong in the women’s bathroom. The idea that bathrooms are a battleground for those looking to use the ones that match their gender identity needs to be smashed. All women should be able to use public restrooms without experiencing harassment and assault. 10. Educate yourself and others. Empowering trans women is primarily about taking action, not just being emotionally intelligent. According to my mother, all of the problems in the world can be fixed with education (no surprise, she’s a teacher). While this may not be entirely true, her words carry a point: the more we know, the better we can understand. The better we understand, the better we can help. Whether “education” means taking a course on trans history (I’m waiting for one to become available at my school) or explaining to a confused parent exactly what “transgender” means, educating yourself and other members of the community are necessary for empowering trans women. If we want to grow, we all need to know. No matter what we do to empower others, we cannot do so with hatred in our hearts. I firmly believe that the attempt to empower others is only successful when there is love in our hearts. Female empowerment starts with you. 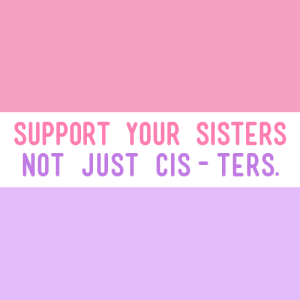 Remember: support your sisters, not just your cis-ters. Previous Post: « Have I Outgrown My High School Friendships?